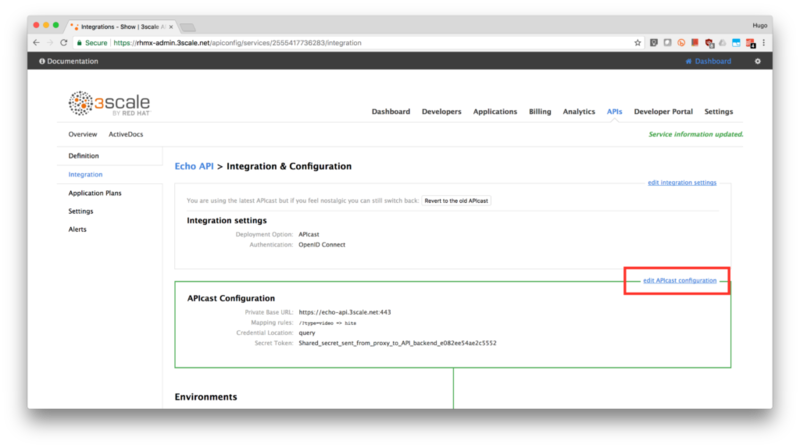 Once you have APIs in your organization and have applications being written, you also want to be sure in many cases that the various types of users of the APIs are correctly authenticated. 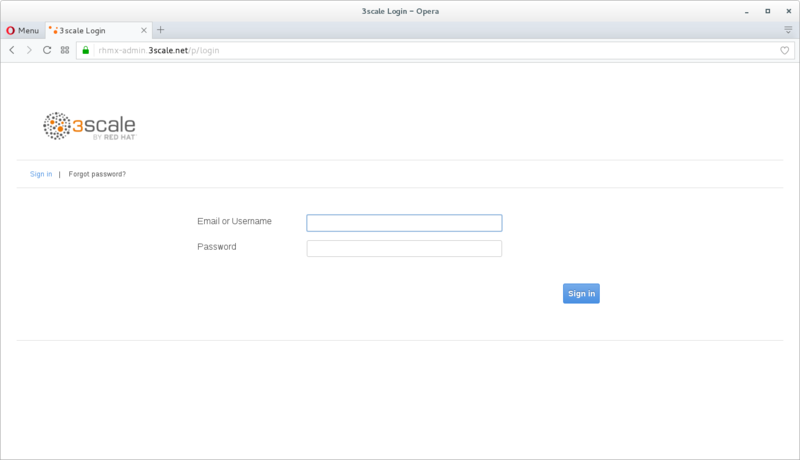 In this lab you will discover how to set up the widely used OpenID connect pattern for Authentication. The Red Hat SSO product provides important functionality for managing identities at scale. In this lab you will see how it fits together with 3scale and OpenShift. A 3scale-admin client and service account was already created for you. Click on the 3scale-admin link to view the details. Take notice of the service account Secret. Copy and save it or write it down as you will use it to configure 3scale. Click on the Users menu on the left side of the screen. Type apiuser as the Username. Now you have a user to test your integration. Accept the self-signed certificate if you haven't. 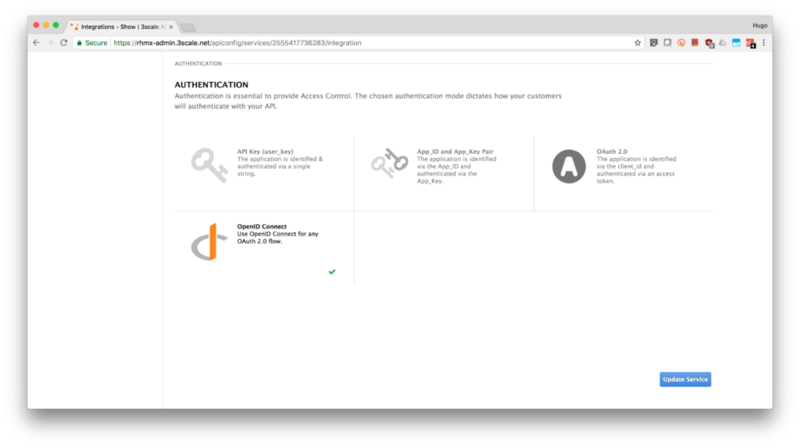 Scrolll down the page, under the Authentication deployment options, select OpenID Connect. Click on the Update Service button. 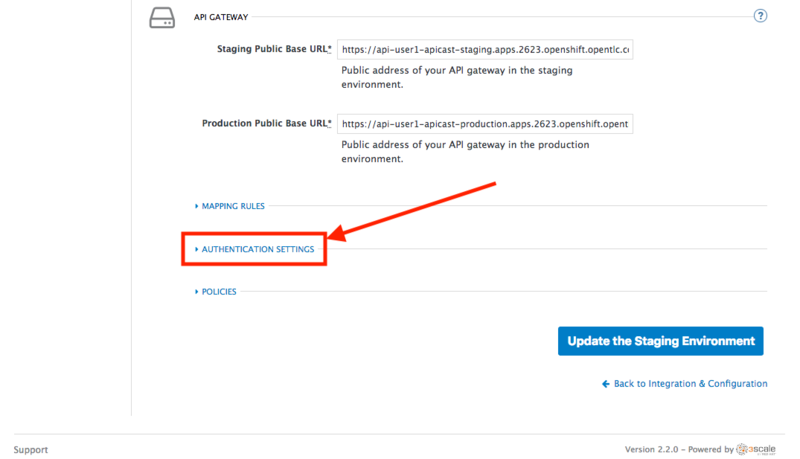 Dismiss the warning about changing the Authentication mode by clicking OK.
Back in the service integration page, click on the edit APIcast configuration. Scroll down the page and expand the authentication options by clicking the Authentication Settings link. 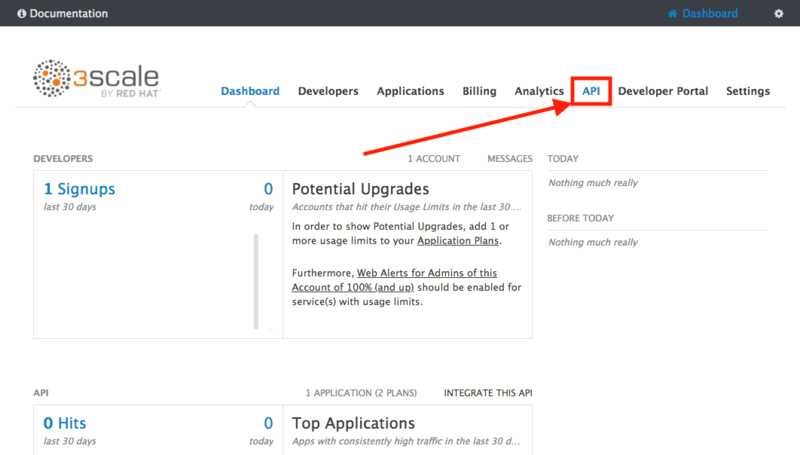 Scroll down the page and click on the Update Staging Environment button. 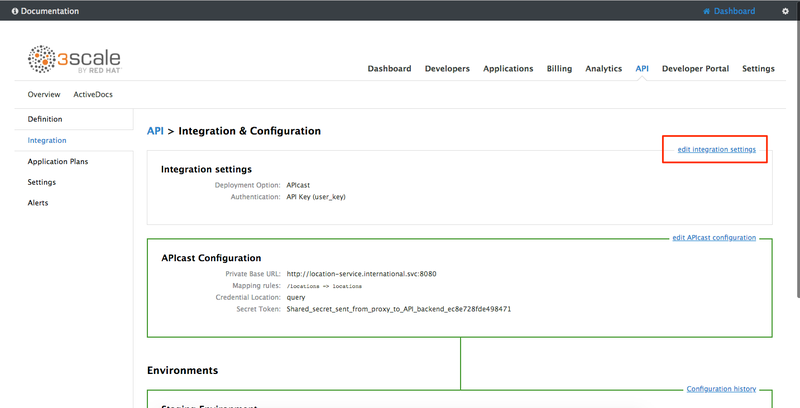 After the reload, scroll down again and click the Back to Integration & Configuration link. Promote to Production by clicking the Promote to Production button. Go to the Developers tab and click on Developers. Finally, scroll down the page and click on the Create Application button. Update redirect link to your locations application link. And note the API Credentials. 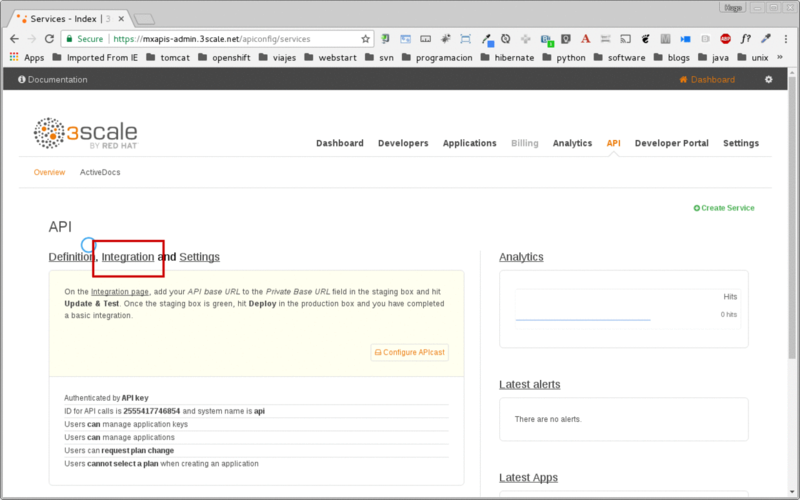 Write them down as you will need the Client ID and the Client Secret to test your integration. So, you want more? Login to the Red Hat Single Sign On admin console for your realm if you are not there already. Click on the Clients menu. Now you can check that 3scale zync component creates a new Client in SSO. This new Client has the same ID as the Client ID and Secret from the 3scale admin portal.